THC 101: An in-depth guide to how THC works, its side effects, health benefits, and history. Tetrahydrocannabinol. Delta-9 tetrahydrocannabinol. Delta-9 THC. There are a few different scientific names for it, but most people simply know it as THC. The main active ingredient in marijuana, THC is most famous for getting people high. But what is THC, exactly? Consumers who understand what it is and how it works can better make sense of and control side effects. It’s the main active ingredient in marijuana, but how does THC work? To understand why marijuana behaves as it does in the body, it’s essential to understand what THC is and how it interacts with the brain – both when used alone and with the other ingredients in cannabis. Over the years, researchers have learned a lot about the effects of THC and its potential uses. The first building block in this huge base of knowledge was laid back in the 1960s by an Israeli scientist named Raphael Mechoulam. At a time when marijuana use was becoming more popular, Dr. Mechoulam realized that no one knew how the drug actually worked. People who used cannabis often became euphoric and hungry – but why? Scientists had isolated the active ingredient in opium (morphine) and in cocoa leaves (cocaine), but researchers had no idea why cannabis got people high. Mechoulam was determined to find out. The first active ingredient he and his team discovered in cannabis was CBD. While it has some very interesting effects, CBD doesn’t cause a psychoactive high, so the team kept searching. About a year later, the scientists isolated the ingredient they were looking for: delta-9 tetrahydrocannabinol (delta-9 THC). Like CBD, THC is one of the many compounds found in the resin of marijuana plants. When THC enters the brain, it interacts with the receptors that create extreme happiness. 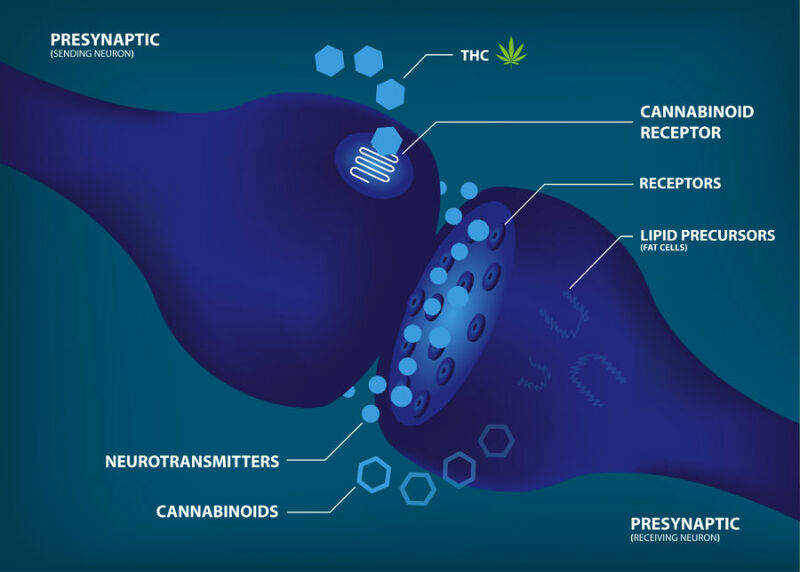 To fully understand how THC works, it helps to know about cannabinoids. These are the active ingredients found in marijuana. THC is one of over 480 compounds produced by marijuana plants. Dozens of these compounds (including THC) are classified as cannabinoids. Different cannabinoids work in different ways. They do this by mimicking natural brain chemicals and plugging themselves into cannabinoid receptors in the brain. THC, for example, mimics the effects of a neurotransmitter called anandamide that creates pleasure, kills pain, and eliminates depression. While THC plugs into the CB1 receptor to create these effects, CBD plugs into the CB2 receptor, where it reduces anxiety, promotes relaxation, and also acts as a painkiller. CBG actually inhibits the CB1 receptor (and can lessen the high caused by THC). THCV, another cannabinoid, helps control neurological issues such as seizures. CBN is useful to encourage bone growth and to prevent the muscle convulsions caused by conditions like multiple sclerosis. Cannabinoids like THC plug into cannabinoid receptors to cause various effects. The effect is more than just a theory; medical marijuana patients have noticed it when using marijuana to treat their illnesses. While some patients can use CBD alone to treat certain symptoms and ailments, others find that they only get relief from whole-plant cannabis. These individuals get better results from smoking or otherwise ingesting marijuana that has its whole range of cannabinoids still in tact, rather than taking a concentration of a single cannabinoid. Because every person’s brain works differently, THC effects will vary from one person to the next. Effects can also vary because different marijuana strains have different levels of THC. Once THC is introduced into the brain, however, it plugs itself into cannabinoid receptors that are responsible for things like thinking, remembering things, feeling pleasure, coordination, and perception of how much time has passed. Many people find the effects of THC to be enjoyable, but its effects can be uncomfortable or even dangerous at high doses or for people with certain medical conditions. While there’s no guarantee as to how THC will make someone feel, here are some of the side effects most commonly associated with the compound. What does THC do for first-timer users? Some people feel no effect at all the first time they try marijuana, while others can get uncomfortably high. For anyone unsure of how THC will affect them, the best strategy is to start with a very low dose and take it slow. For THC first-timers, smoking or vaping is the easiest way to control the dose and feel the effects faster. It’s best to begin with just one or two inhalations; the THC side effects generally kick in within a few minutes. Edibles are trickier because the effects take longer to set in and can last much longer. This is why beginners should proceed with caution when consuming marijuana-infused cookies or candies. New York Times columnist Maureen Dowd discovered this the hard way when she had a wildly uncomfortable evening after consuming too much of a cannabis-infused candy bar. In short, the rule for marijuana first-timers should always be to start low and go slow. Women who are pregnant or breastfeeding: The ingredients in marijuana can pass through the placenta and slow the growth of the fetus. It may also cause abnormalities or lead to childhood leukemia. THC in breast milk may also slow the development of the baby. People with heart disease: Because THC increases heart rate and blood pressure, those who are at an increased risk of heart attack or stroke should avoid it. Those with epilepsy: While some patients use cannabis (often high-CBD strains) to control their epilepsy, there is concern that marijuana may lower the seizure threshold in certain people. People with epilepsy should work closely with their doctors to determine if THC poses a risk to their health. People with a predisposition to mental illness: Studies have shown a potential connection between cannabis use and development of psychotic disorders such as schizophrenia in people who have a personal or familial predisposition to the disorder. Similarly, those who are predisposed to anxiety disorders should be cautious, as the paranoia and increase in heart rate that are common THC effects can exacerbate this condition. Juveniles: Researchers who studied marijuana use in young people found that the effects of THC on developing brains can be long-lasting, causing a decline in IQ, higher impulsivity, and the potential for an increased risk for mood disorders and psychotic symptoms years later. Studies are still continuing, but for the time being, juvenile use of marijuana should be discouraged. What Medical Conditions Does THC Treat? 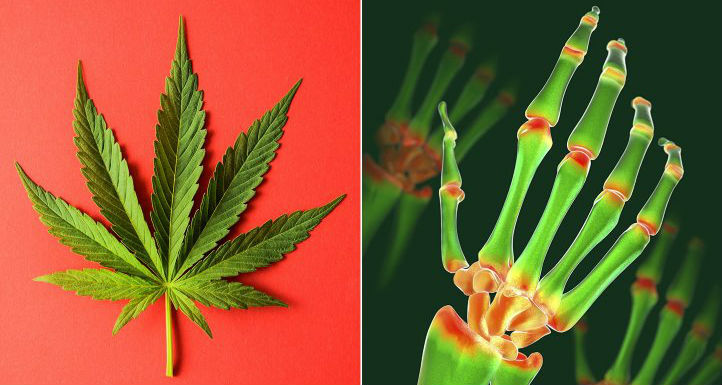 For years, people around the world have used cannabis to treat diseases and common ailments. Because it was illegal in many places, patients often had to use black market marijuana to medicate. More recently, a large number of changing laws has made it easier for people to access the marijuana for medicinal purposes. Even before laws to legalize recreational marijuana started to gain traction, many places had made it legal for people to obtain and use medical marijuana for certain conditions. As of 2019, medical marijuana is legally available to patients in dozens of U.S. states and at least 30 countries across the globe. Legalized medical marijuana gives patients access to medicinal THC. Patients who suffer from a wide range of illnesses can get relief from THC without the side effects of traditional pharmaceutical drugs. However, it’s important for patients to talk to their doctors and do research to confirm that marijuana is useful for the condition they’d like to target. In recent years, cannabis has been touted as a treatment for everything from cancer and glaucoma to Alzheimer’s disease. Because of restricted research due to the legal status of THC in countries like the U.S., evidence to support its use for certain diseases is limited. For patients with AIDs or those undergoing chemotherapy for cancer, nausea, vomiting, and the resulting weight loss can be devastating. In multiple clinical trials, THC has been shown effective at treating all of these conditions. In fact, it’s so effective that pharmaceutical companies have harnessed this knowledge to create dronabinol, a synthetic THC that’s regularly prescribed to patients with cancer or AIDs. THC has also been shown effective as an analgesic. Because of this, it’s often used for patients with cancer, as well as those with severe and chronic pain from diseases like fibromyalgia. Multiple sclerosis causes the muscles to cramp up and become stiff, which results in aches and intense pain. THC is believed to act on the areas of the brain that affect movement, helping to calm painful muscle spasms. Many patients find that cannabis is preferable to conventional antispasmodic drugs that can cause them to feel weak and drowsy. THC benefits include relief for people who suffer from pain or muscle spasticity. While research has suggested that THC may be helpful for many different medical conditions, scientists are quick to note that the compound isn’t a cure-all and that more evidence is needed to confirm its benefits. There have been a number of promising trials that look to cannabis as a potential treatment for many different diseases. Could one of the effects of THC be protecting the brain? While many drugs inhibit the brain’s ability to make new cells, studies have shown that cannabinoids like THC are capable of stimulating brain cell production (also known as neurogenesis). Researchers tested this theory using HU-210, a synthetic substance that is 100 times more powerful than standard THC. They believe that further research could provide helpful treatments for those with mood disorders such as depression. Medical professionals currently believe that in many people, depression can be triggered when not enough new brain cells are generated in the hippocampus. Another positive finding is that tetrahydrocannabinol may be neuroprotective. This sets cannabis apart from many other drugs that damage, rather than protect brain cells. A study by scientists in Tel Aviv showed that THC was useful for protecting brain cells from damage due to lack of oxygen, toxic drugs or seizures. While past studies had used high doses of THC given within a short period of time, this study found that low doses given over a period of days was also effective. Researchers also found that mice subjected to brain injury fared better weeks later if they had been dosed with THC before or just after their injury. Scientists are continuing to work to see if THC may prove to be a good preventative drug for individuals who are at a high risk of brain injury (such as epileptics, those with a high heart attack risk or people who are about to undergo cardiac surgery in which the blood flow to the brain could be interrupted). Scientists have also been looking into cannabis as a potential cancer-fighter. A 2016 study discussed the large body of evidence showing that cannabinoids can decrease tumor growth, prevent cancer cells from growing new blood vessels, and decrease metastasis of various types of tumors. It’s important to note that these results were all achieved in a laboratory setting and not in human trials. Cannabis has not yet been approved as an effective cancer treatment. Researchers also have hope that THC and other cannabinoids may prove useful in treating diseases like Alzheimers and dementia, Tourette syndrome, Huntington’s disease, PTSD, and Parkinson’s disease, among others. In some places, approval for medical cannabis is granted for diseases that are still being researched, while in others, more evidence is needed before those conditions will be added to the list. While the studies for many diseases have had promising results, it’s important to note that results achieved through working with concentrated cannabinoids and cells in a lab are often very different than the results that will result from simply inhaling or ingesting cannabis. This is why it’s essential for people to talk to their doctors before choosing or changing the course of treatment for any medical condition. 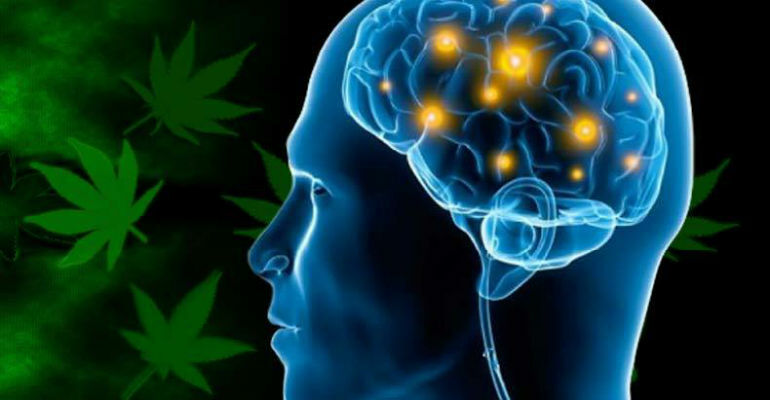 Scientists believe that THC may benefit those at risk of brain damage. In many places, laws prohibiting marijuana have limited patients’ ability to obtain treatments that contain THC. Pharmaceutical companies have been working to fill the gap with synthetic medications built on the THC structure. The idea behind developing such medications is to provide an alternative medication for people who live in places where medical cannabis isn’t legal. The drugs are also designed to be used when dosing with cannabis isn’t convenient. Another benefit of THC-based pharmaceuticals is that they don’t come with the stigma that’s often associated with marijuana use. The first drug to be created from the THC structure was dronabinol (sold in pill-form as Marinol or liquid-form as Syndros). This synthetic tetrahydrocannabinol helps quell nausea and vomiting and also stimulates appetite. Doctors often prescribe it to those undergoing chemotherapy, as well as AIDS patients. Nabiximols (Sativex) sets itself apart because it’s a 1:1 THC-to-CBD mix. It also contains concentrated and purified cannabinoids that are derived from whole-plant cannabis (rather than being a synthetic substance). It comes in oral spray form and has been approved for muscle spasticity in patients with multiple sclerosis. Sativex has also been licensed for neuropathic pain in people with MS, as well as cancer pain. While cannabinoid-based pharmaceuticals can be helpful, they also have their downsides. For example, some patients report that the effects of dronabinol are much more powerful than psychoactive THC side effects, leaving them unable to function after just one dose. With nabiximols, nearly a quarter of patients experience dizziness after taking the drug. Many patients prefer the flexibility of being able to take a small dose of marijuana that they say leaves them better able to function. Some patients dislike waiting on pharmaceuticals to kick in, instead preferring to vape a small amount of marijuana to feel immediate relief. Others feel that the pharmaceutical simply doesn’t work as well as traditional cannabis. Reports of these medications not working as well as cannabis only serve to confirm the theory of the entourage effect. It may be that whole-plant marijuana that contains the full spectrum of of cannabinoids and terpenes simply works better than drugs that only contain one or two of these compounds. Pharmaceutical companies have worked to engineer the benefits of THC into synthetic drugs created in the lab. Another factor that can impact the type and intensity of THC side effects a person experiences is what strain of marijuana they ingest. Various strains of cannabis have different concentrations of cannabinoids. This is why someone can use one strain and feel relaxed and mellow but try a different strain and feel energized and edgy. Generally, strains with greater levels of THC will create a powerful euphoric high. Marijuana strains high in THC can cause an increased heart rate or feelings of anxiety. Meanwhile, marijuana strains lower in THC will generate less powerful effects. This is why people who are new to marijuana or who are prone to anxiety are advised to look for strains with a lower THC content. People hunting for high-THC marijuana strains will generally be successful when shopping at most legal recreational cannabis dispensaries. The average THC content in Colorado dispensaries, for instance, runs at around 25%. By comparison, black market marijuana commonly found in the 70s would have had around 2 to 5% THC. This can come as a surprise for those who have never used marijuana or to people who are trying it for the first time in many years. People hoping to find milder marijuana may need to call around to their local dispensaries to see what strains the store carries. Establishments that specialize in medical, as well as recreational marijuana tend to have strains with a wider range of THC content. Marijuana farmers can determine how much THC their crop contains not only through which strains they choose, but also by what grow methods they use. Male cannabis plants are programmed to attempt to fertilize any female plants in their vicinity. However, sometimes a grower will isolate the female plants away from the males, leaving the female tops unfertilized. The result of this is sinsemilla, a variety of marijuana that has an extremely high THC content. Growers debate about how all aspects of the process affects THC levels. Will marijuana grown in natural light be stronger than weed grown in artificial light? Is hydroponic or “bush” weed higher in THC content? While it’s uncertain whether one strategy works over another, it is true that different strains of weed have higher THC levels than others and that this can greatly affect the experience for consumers. The side effects of THC can vary depending on the marijuana strain and growing methods used. Experienced cannabis consumers are typically familiar with the many different methods of THC ingestion, but with expanding legalization, those who are new to marijuana sometimes struggle to understand the different ways of getting THC into their bodies. What’s the difference between smoking and vaping? How do edibles work? Can different ingestion methods create different THC side effects? A quick lesson on ingestion methods and activating the THC within the cannabis will help explain the different ways people benefit from the effects of THC. To fully understand THC, marijuana users must first understand the process of decarboxylation. When it comes to cannabis, this term simply means heating the raw material to the point that its cannabinoids become activated. It might surprise many to know that raw marijuana can’t create a high. In fact, it contains little to no THC. Instead, raw bud contains THCA (tetrahydrocannabinolic acid), which isn’t psychoactive. In science terms, this means it’s necessary to remove a carboxyl group from the THCA molecule to turn it into a THC structure. In everyday terms, this means that if cannabis is heated for long enough (and at the appropriate temperature) the THCA will transform into tetrahydrocannabinol (THC). The newly-psychoactive compound will then have all of the THC side effects discussed earlier in this article. The cannabinoids in marijuana decarboxylate at various boiling points, but when it comes to THCA, it typically begins to turn into THC after about 30 to 45 minutes of being heated at around 230 degrees Fahrenheit. Decarbing not only applies to raw marijuana flower; it’s also necessary for cannabis concentrates such as BHO (also known as dabs, wax, or shatter). Decarboxylation is why smoking cannabis is such an efficient way of ingesting it. Not only does decarbing cannabis heat the material to a temperature that activates the THC and other cannabinoids, it also creates an inhalation method that gets the chemicals into the body and brain. It’s a quick, easy, and effective way to activate and ingest THC. Smoking not only activates the THC within cannabis; it also provides a way to get it into the body. For those who don’t want to inhale smoke (either because it makes them cough or for health reasons), vaporizing marijuana is an increasingly popular way to ingest delta-9 tetrahydrocannabinol. The goal with vaporizing is to heat the cannabis material to a temperature where it will decarb but not combust – thus generating a cannabinoid-rich vapor without creating smoke. Conduction vaporizers heat marijuana with direct exposure to a heating element, but many cannabis aficionados prefer convection vaporizers that gently surround the material with heated air until vapor is released. For years, people who enjoy marijuana have been infusing the herb into everything from brownies to cannabutter that can be used in baking, as well as savory dishes. Performed correctly, making marijuana edibles creates cannabis-infused food that’s incredibly potent. The “low and slow” rule becomes especially important with edible cannabis. First, it applies to the need to decarboxylate the cannabis for the appropriate amount of time at a low temperature before cooking or baking with it. And most importantly, it’s a reminder for first-timers to start with a very low dose (10 mg is a good starting point) and wait before consuming more. Depending on the user, THC effects after consuming edibles can take anywhere from a half hour to a couple of hours to kick in. Cannabinoid receptors aren’t only located the brain; certain ones (like CB2 receptors) can also be found throughout the body. THC absorbed through the skin in creams and balms can interact with these receptors to provide pain relief. It can’t enter the bloodstream this way, however, and won’t create a high. The following section is for people looking for a quick Q&A or who still have unanswered questions about marijuana and THC. THC, also known as tetrahydrocannabinol (or delta-9 tetrahydrocannabinol) is the best-known active ingredient in marijuana. THC is responsible for marijuana’s psychoactive side effects such as euphoria, dizziness, and intensified visual and auditory sensations. It achieves these effects by plugging into cannabinoid receptors in the brain. What do the effects of THC feel like? THC side effects can include feeling silly, happy, relaxed, and sleepy. Colors and sounds may seem more intense and visual trails can appear behind moving objects. Time might feel as though it’s moving slowly. THC can cause hunger, as well as intensifying pleasure from tasting certain foods. Because THC affects everyone differently, there’s no way to know exactly how it will make someone feel until they try it. Some people enjoy the “buzz” they receive, but for others, THC effects are far from pleasant. Dry mouth (otherwise known as “cottonmouth”) can be uncomfortable but typically isn’t problematic. More worrisome effects include a racing heart and anxiety. Some people feel very paranoid when under the influence of THC. It can also affect short-term memory. How long do THC side effects last? THC effects can last varying amounts of time depending on the ingestion method and the body’s metabolism. Effects of smoked or vaporized marijuana tend to wear off within one to three hours. Meanwhile, the effects of oral cannabis such as edibles or THC oil capsules may last for four to eight hours. Is a marijuana overdose possible? There are no documented cases of anyone dying as a direct result of marijuana overconsumption. It is possible to consume enough THC to create very unpleasant effects, however. At high doses, THC effects can be extremely uncomfortable and even frightening. A fast heart rate, anxiety and paranoia, nausea and vomiting, and hallucinations can occur. What should I do if I get too high on marijuana? If the effects of THC become too intense, it may help to drink lots of water and eat some food. It’s also helpful to distract the mind from the feeling of being high by lying down in a dark room, watching TV, or talking to a trusted friend/family member until the effects wear off. The high will wear off eventually – and with no lasting effects to the brain or body. Depending on the ingestion method and the user’s metabolism, the high can last for one hour or several. Smoking/vaporizing causes the shortest high, while edibles create longer-lasting effects. While THC side effects wear off after a few hours, the compound itself can hang around in the body for a few weeks after use. How long can it be detected? It depends on the amount/frequency of use as well the type of drug test (and the sensitivity of the test). Blood tests can detect THC for several hours up to a day after marijuana use. Urine tests can detect it for up to 30 days, while hair tests can reveal THC use for up to 90 days. Is there a way to get THC out of your system? Getting THC out of the body is 100% dependent on consumption amounts, frequency, and individual metabolism. Some people may be able to speed up the cleansing process by drinking lots of water, but when it comes to having no sign of delta-9 tetrahydrocannabinol show up on a drug test, only time will remove it completely. Can someone really get a “contact high” from secondhand marijuana smoke? It’s unlikely. Studies have shown that subjects exposed to secondhand marijuana smoke for three hours wasn’t enough to cause them to fail a drug test. However, it’s unclear if secondhand marijuana smoke is damaging to health, so always avoid exposing children to any sort of secondhand smoke. People have used marijuana for centuries, totally unaware of the chemical inside that was responsible for its signature effects. After the THC molecule was discovered, cannabis use had become both stigmatized by some and celebrated by others – and THC became synonymous with a way to get high. In the decades since, THC has come into its own not just as a recreational drug, but as a fascinating compound with true medical potential. As legalization expands, so does the research into delta-9 tetrahydrocannabinol, its side effects, and how it might be used as a medical treatment. After thousands of years of use, it’s safe to say that scientists have only just scratched the surface of the potential contained in this famous cannabinoid. CBD (Cannabidiol) - 101 Guide to CBD side effects, medical benefits, and ingestion methods. When a consistent dosage is applied, it builds tolerance and then THC can indeed be used as a performance enhancer, endurance enhancer (strong anti-inflammatory properties), and for concentration and focus as well. CBD is often used in conjunction as it enhances the benefits; to combat drowsiness from an indica and elongate as well as balance the euphoria. Anxiety and lack of concentration is just associated when one is not used to the euphoric effect and it becomes a distraction; building steady tolerance will cancel these temporary side effects. Ancient cannabis in general had stronger CBD content and moderate THC content compared to today’s cannabis. (with 1:1, 2:3 ratios being more common).